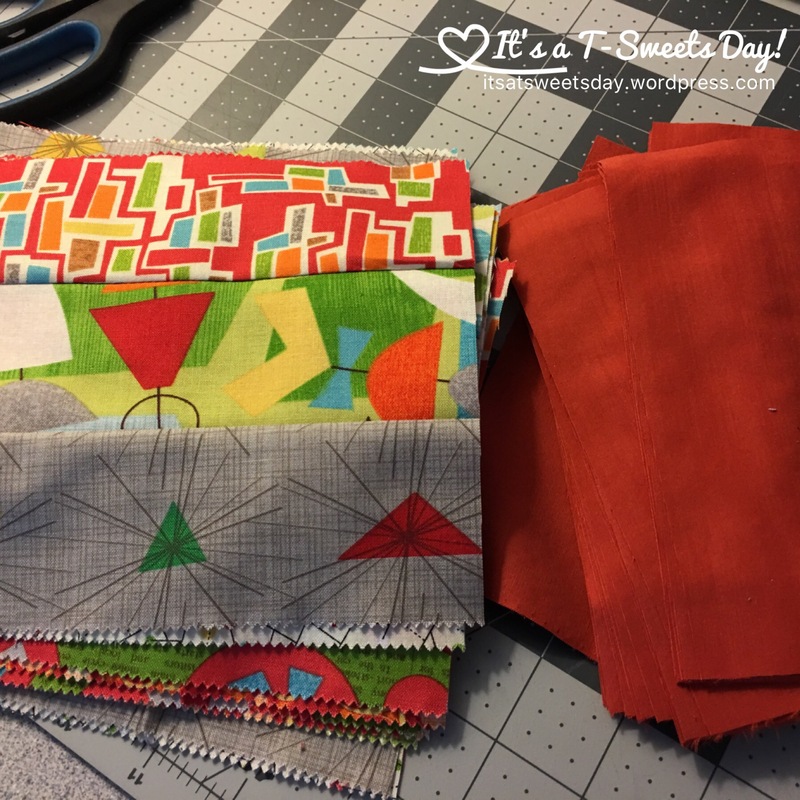 Speed Quilting – It's a T-Sweets day! 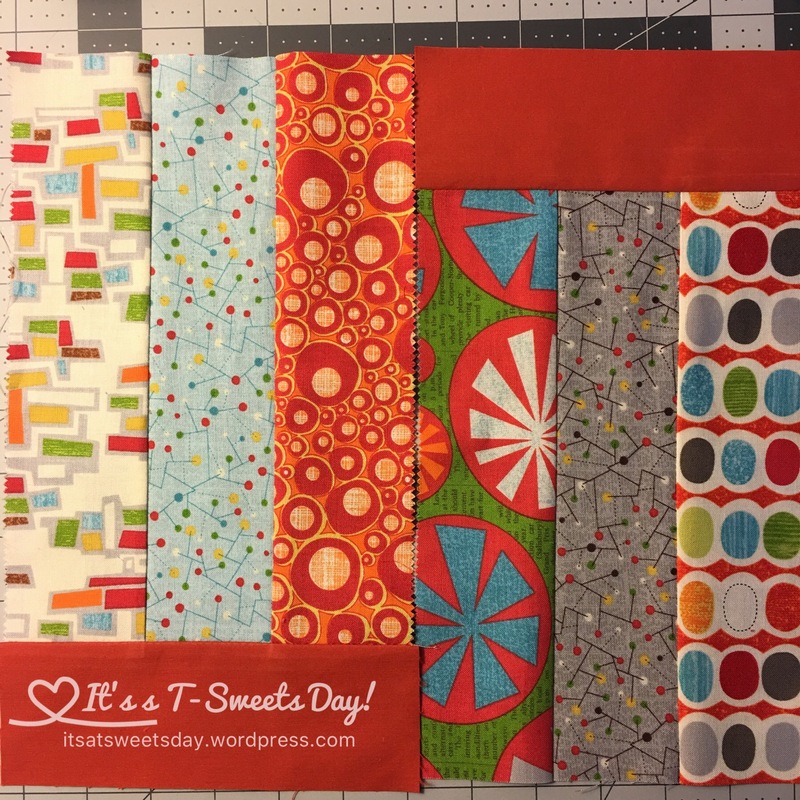 Published on June 25, 2016 June 26, 2016 by Tracy @ It's a T-Sweets Day! 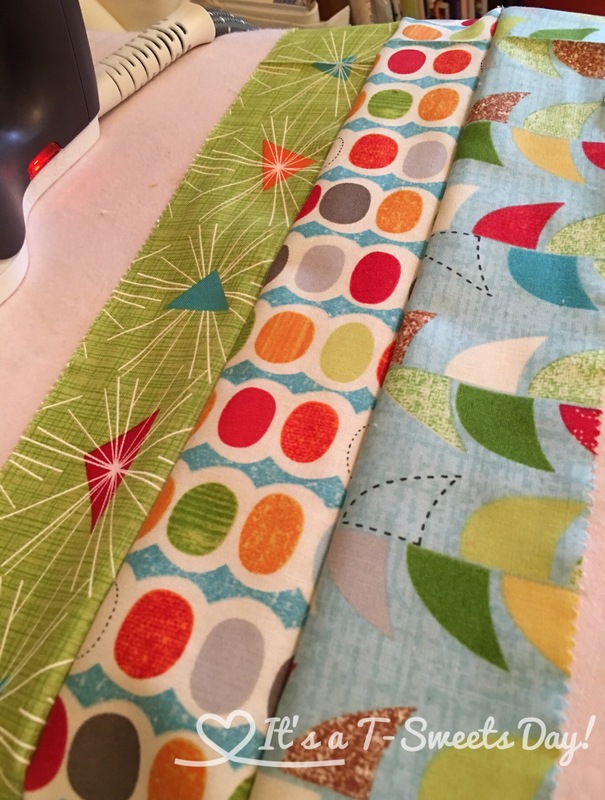 There are some quilts that take years and lots of thinking and creative juices to complete. They are masterpieces. This quilt is not one of them. I started this quilt in the morning and was finished before lunch. SWEET! It is going to be a gift for yet another niece. (I have a very large extended family). She gets married in August. I am going on vacation in July so I figured I had better get it done. It only needs one jelly roll and some accent fabric. Don’t you just love jelly rolls? 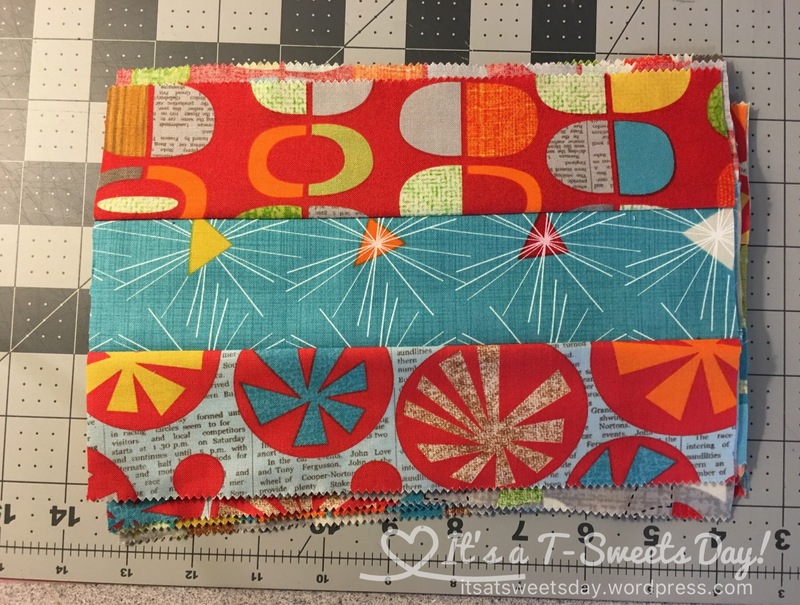 All of that coordinating fabric that I didn’t have to round up just makes me happy:). 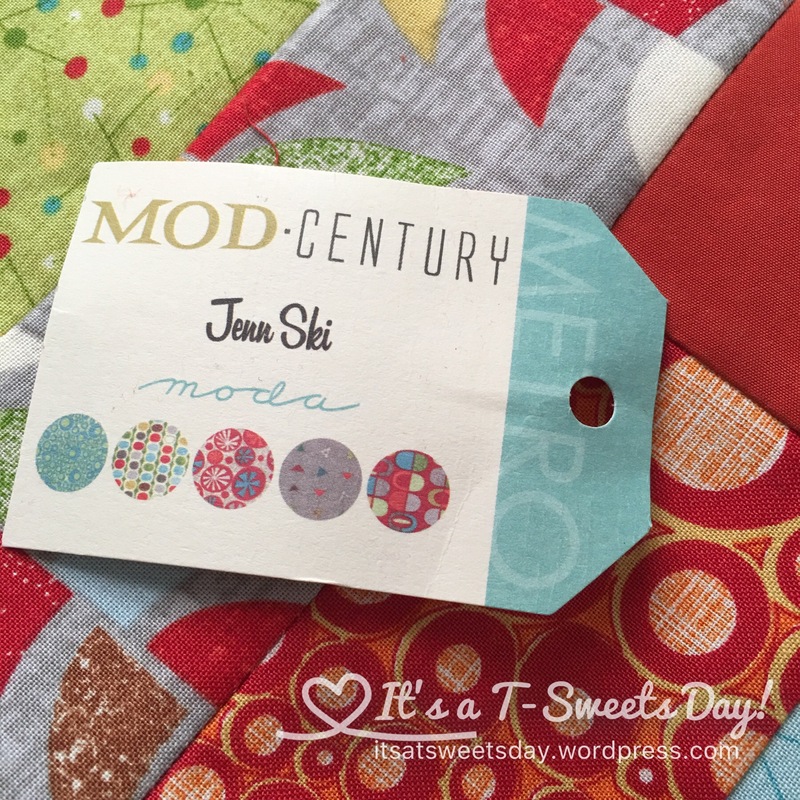 For this quilt I used ModCentury by Jenn Ski. 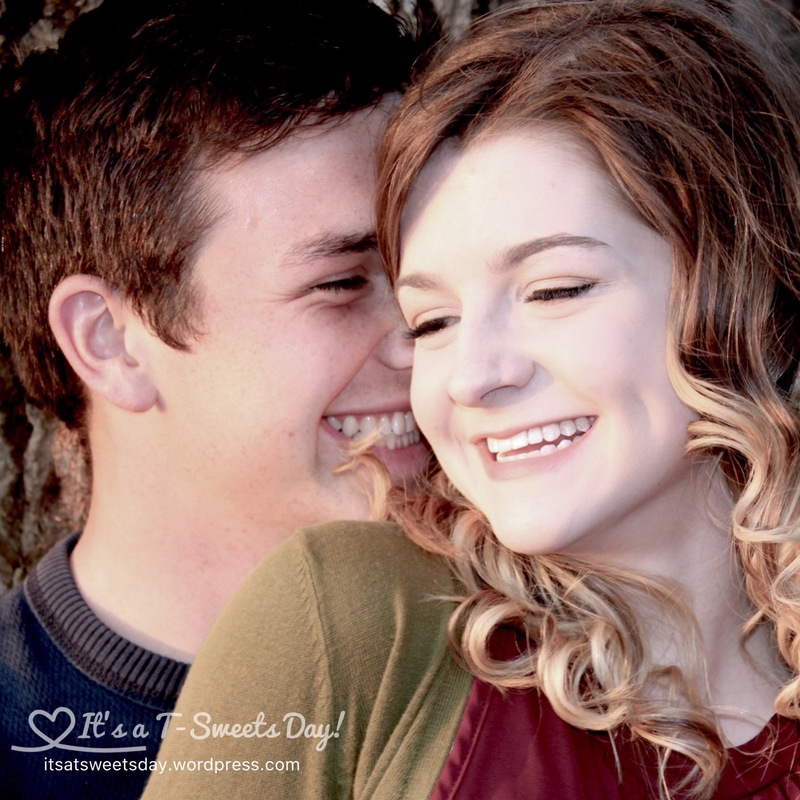 It is perfect for a cute, sassy girl and her husband. I added an accent strip to the bottom of each rectangle and then arranged them in opposite directions. 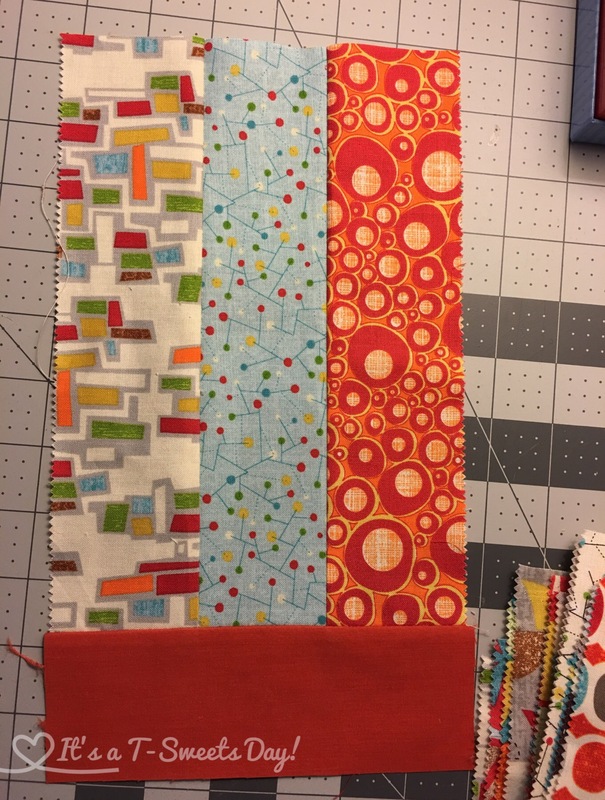 I sewed them all together,added a solid border, joined the extra strips on the short ends making one long strip that I sewed as the 2nd border, and finally finished with one more border. DONE! Gorgeous! My SWEET niece and soon to be nephew are going to love it! Here are a few pictures I took of them for their announcements. 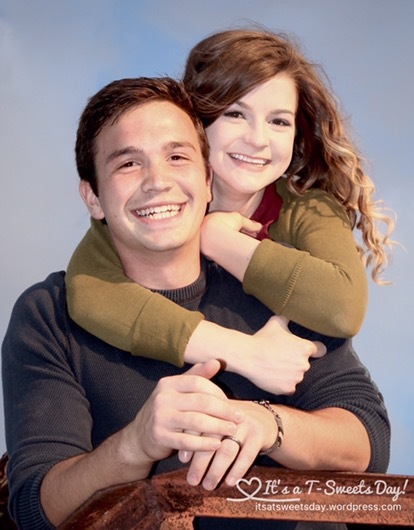 Aren’t they just the cutest couple? I’m impressed with how quickly that went together! What size did you do? 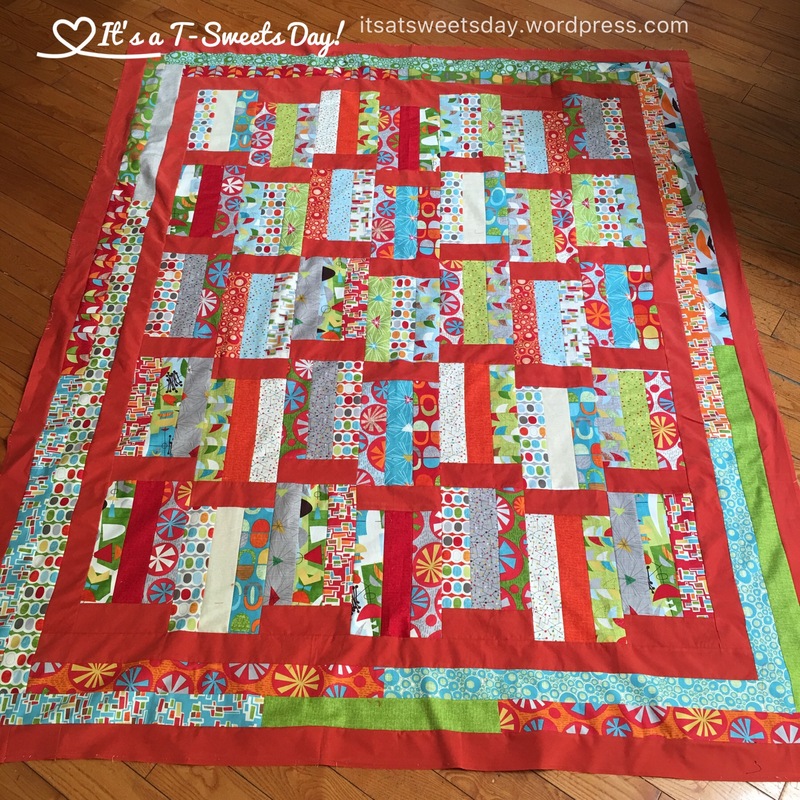 Pingback: Quilted and Ready for the Bridal Shower – It's a T-Sweets day!